George W. Brown dictated this letter to Hiram Hill from the Herald of Freedom newspaper office in Lawrence, Kansas Territory. 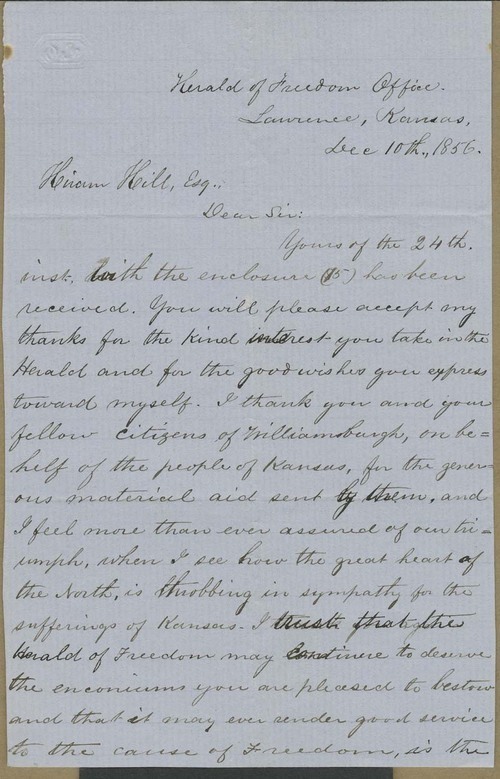 Brown thanked Hill and his fellow citizens of Williamsburgh for the financial gift that they had sent to the newspaper, and also for their material support to the citizens of Kansas. He closed by reiterating the newspaper's commitment to the cause of freedom.